Realtree Camouflage x Nike ACG "Wildwood"
The toughness of Nike’s ACG line is being tested with this latest Realtree Camouflage iteration. 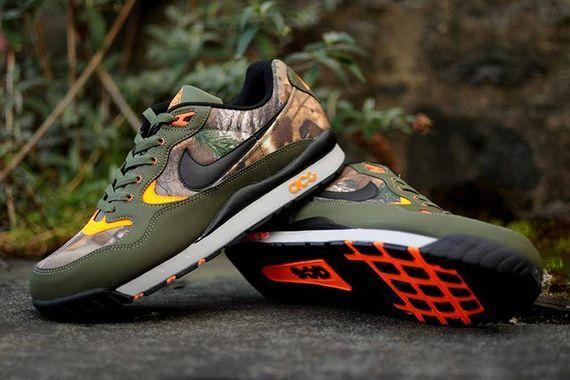 Dressed in bold olive green with orange and black accents, these graphic camo kicks are truly a bold offering. Tough, camo, Nike, not sure what else you could want from ACG, these stunners are hitting shelves tomorrow, act accordingly.